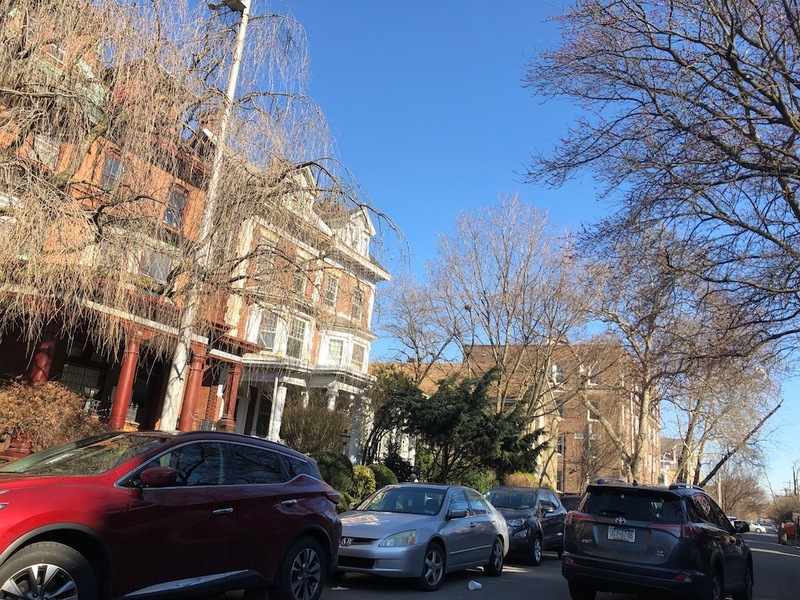 46th Street between Pine and Spruce is a charming West Philadelphia block which includes about a dozen handsome twins, a few apartment buildings, a number of mature and wonderful trees, and the Good Shepherd Community Church. This church, located at at 314 S. 46th St. was built in 1930 as a Latter Day Saints congregation and has held up quite well over the years. But as the title of this post suggests, this building will likely disappear sometime quite soon. From what we understand, this property has been available for awhile, and its sale comes as absolutely no surprise. 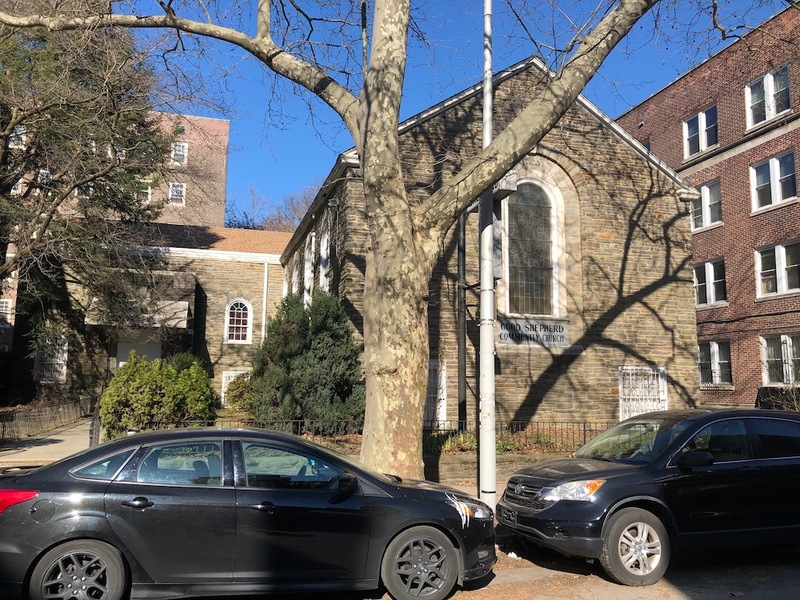 The church is not designated historic and sits on a roughly 9,000 sqft parcel. We probably don’t need to remind you that Penn’s campus is only six blocks from here, and numerous students live in the immediate vicinity. Developers are planning to demolish the existing building and replace it with a new 36-unit apartment building- wanna bet on who it targets? The possible fly in the ointment is that the property is zoned for single family use, and any by-right subdivision would only allow for three new homes on this parcel. Our mental math has never been great, but we’re pretty sure 3 is less than 36. 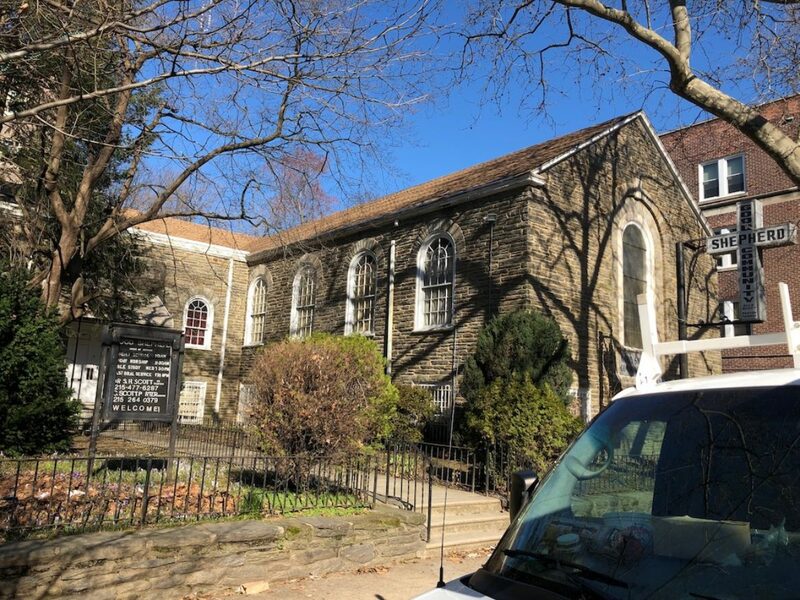 So we can imagine the community wouldn’t be doing a dance about the project even if it didn’t entail tearing down a church that’s been there since the Great Depression. Combine the aggravation about the demolition and the density, and it sounds like a recipe for pushback from the ZBA. Even though the parcel is zoned for single-family use, the developers of the property could make a credible case for multi-family here. There’s an apartment building next door. There’s a mixed-use building under construction across the street, on a property that was previously only a one-story building. Garden Court Plaza takes up the entire north side of the 4600 block of Pine, right around the corner. 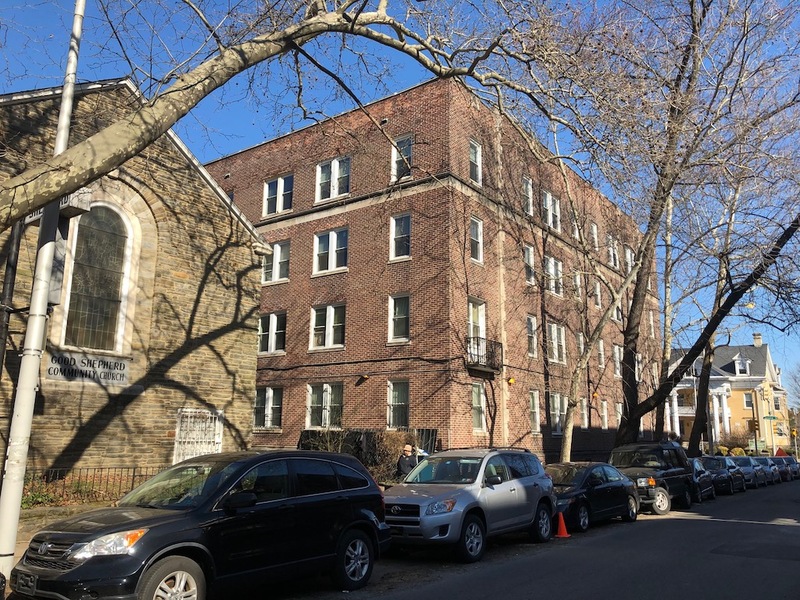 Given the context of these neighboring buildings, we can imagine a scenario in which the ZBA grants the variance even though the neighbors might not approve. We should mention though, even if the ZBA says no way, the fact that the building isn’t on the local register means that the developers are still free to demolish the church if they so desire. And we expect they will, no matter what. More likely ZBA will approve it as long as the new building will be four stories tall like its neighboring buildings, including the new apartment building being built across the street. 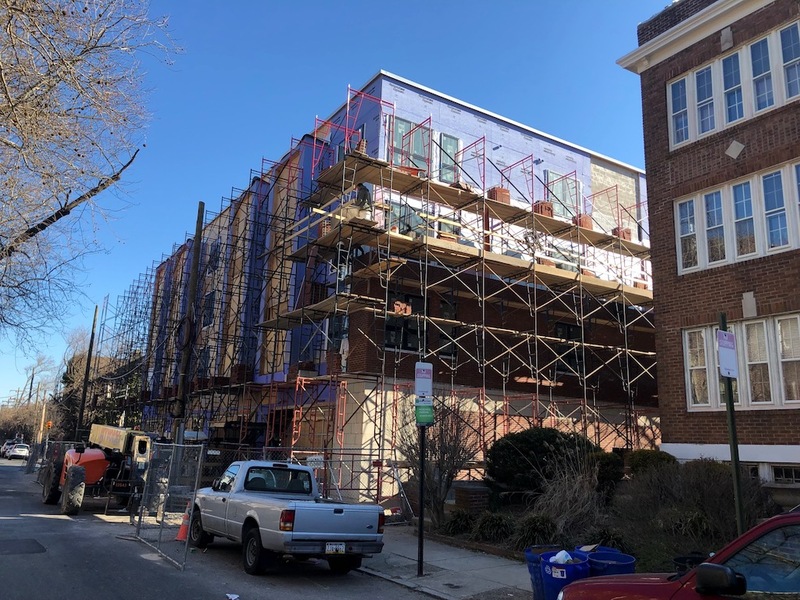 It would be hypocritical for ZBA to turn down the variance when they approved construction of the new apartment building on the site of a one story building long demolished before construction started on the new apartment building across-the street.